YESHA Council Chairman Hananel Dorani says lack of construction in Judea, Samaria, due to inability to deal with bureaucracy. 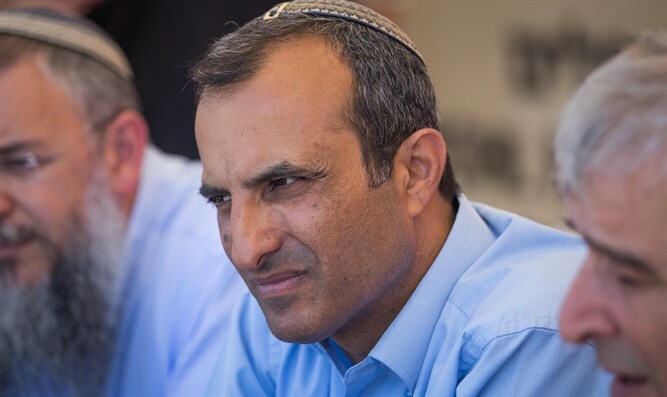 YESHA Council Chairman Hananel Dorani sent a letter to Israeli Prime Minister Binyamin Netanyahu regarding the fact that despite reports and announcements of hundreds of new housing units in Judea and Samaria, there is a silent and worrying freeze on the ground. Speaking to Arutz Sheva, Dorani described a reality which seems to be anything from disorganized to extremely tendentious. The result is that headlines promise thousands of housing units, but on the ground, nothing changes. In his letter, Dorani discusses the decisions which were already made to advance construction throughout Judea, Samaria and the Jordan Valley. "I am writing to complain about the fact that all the necessary steps taken were approved, but most of the plans are still subject to various solvable conditions," he wrote. "These issues can be solved, but it is not happening because the Civil Administration lacks manpower, and there are many plans for hundreds of housing units. Despite the fact that the decision was made to publicize these plans, there is no one who will to the little things necessary to make it happen. We cannot make peace with this." "Sometimes this happens because of how to create an access road, sometimes because there is some detail or other written into the plans," Dorani explained, but at the end of the day, there aren't enough engineers and clerks in the Civil Administration, and things don't happen. As a result, building plans get stuck. "There is no one to do it, because the department in charge of planning has a lot of work and only a few people, and they just don't get to it....it creates a jam." In order to solve the problem, Dorani suggests Netanyahu transfer the authority over these projects to an external body, who will approve the technical and easily solved issues. These people do not have to be Defense Ministry employees, but can work as contractors to get the job done. "I won't tell them who to hire, but they need to solve the problem," he said, noting that "those who have a political agenda have their agenda both in and out of the system." Another issue Dorani mentioned was that of marketing: In many cases, the one marketing the housing units is the Defense Ministry. "In the past year, we heard about thousands of housing units approved for marketing. But out of over 3,000, less than a hundred were marketed! I can't put my finger on the issue, whether it's the Israel Lands Authority or the one in charge, but what is happening is that the office publicizes a notice about marketable projects, and the contractor interested is supposed to receive a booklet about it, so that he can prepare an offer, but there were not booklets. The project was announced, but no booklets were made." Dorani expressed hope that by February, all the promises made in 2017 will be fulfilled. "When US President Donald Trump opens an international window, all the reasons why the Prime Minister hasn't advanced construction no longer exist," he insisted. "Now is the time. The idea that these projects will be stuck because there isn't enough manpower is unthinkable." Regarding the fact that 50% of Judea and Samaria's roads lack cell phone reception, Dorani said, "We are also pushing to solve the issue of cell phone reception in Judea and Samaria - both from a security standpoint and a civilian standpoint." "There is a budget for this issue, but nothing is happening because the Civil Administration needs another five employees. With their current staff, the Civil Administration said that it cannot handle this issue, preparing statistics, talking to companies - and it is these five missing employees that the issue depends on."